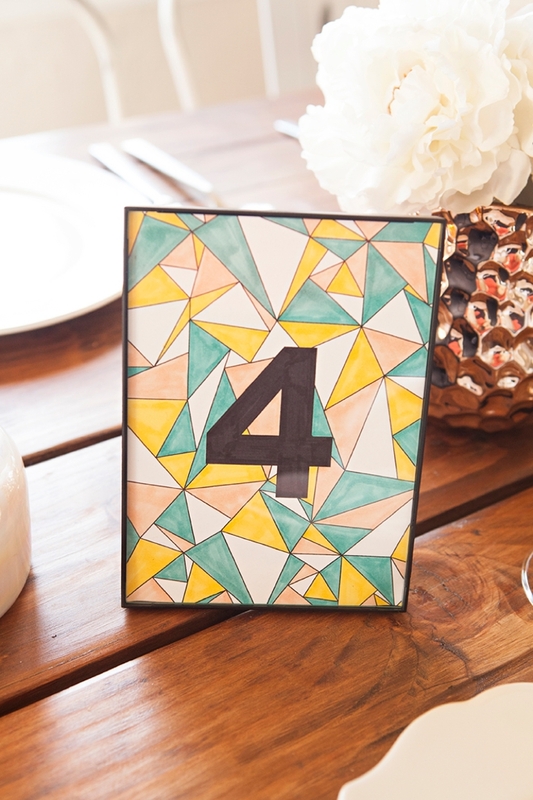 Check Out These Awesome Table Number You Can Color! 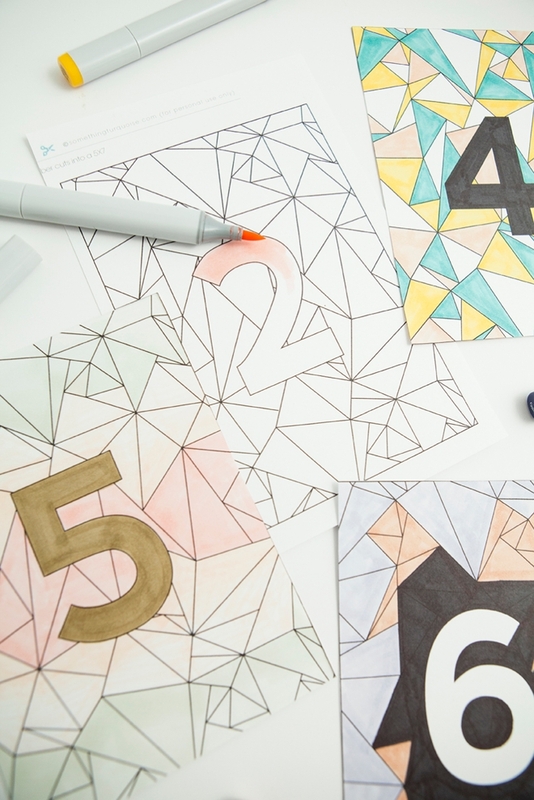 If you haven’t noticed, adult “coloring” is HUGE right now. Why you ask? I thought that same thing until I broke out my colored pencils and actually sat down and colored something. It’s amazingly relaxing, it turns your brain off from the stress of things around you and it gives you that subtle feeling of being a kid again. I’m hooked, and if you’re anything like me you’ll be hooked too. 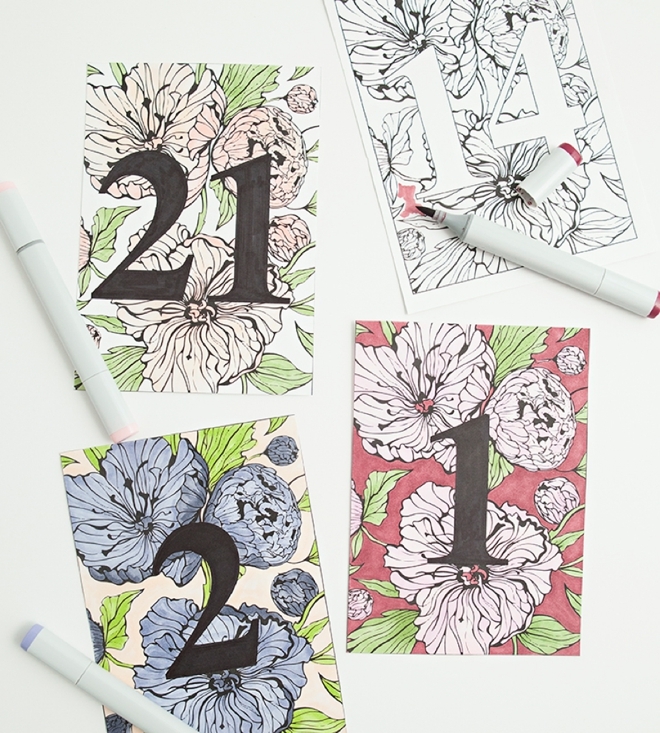 So I thought it fantastically fitting that I create and share free printable, Colorable Table Numbers using my right hand crafting tool, my Canon PIXMA iP8720 Crafting Printer. 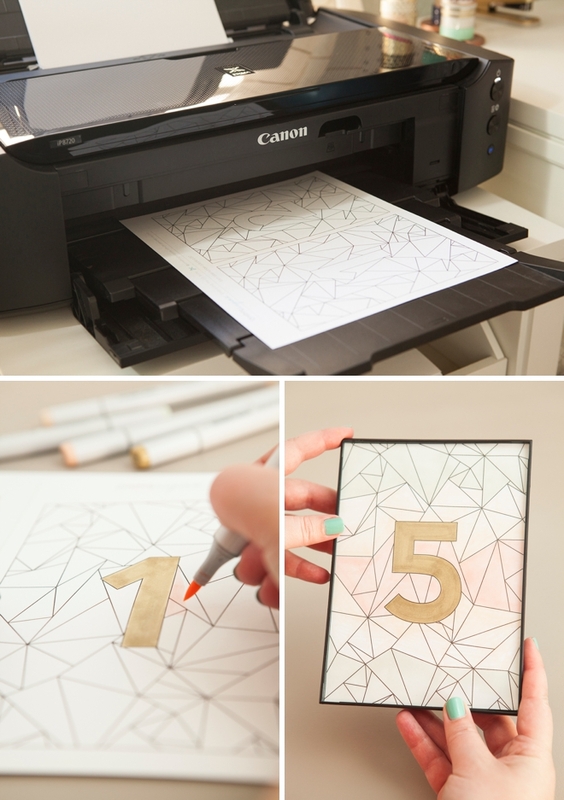 Each month I’ve been sharing two awesome printable projects, brought to you by Canon, which I hope you’ve been enjoying because I sure have! 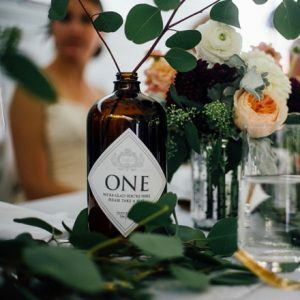 Printable projects are my fav, especially when working on large scale ideas for weddings. 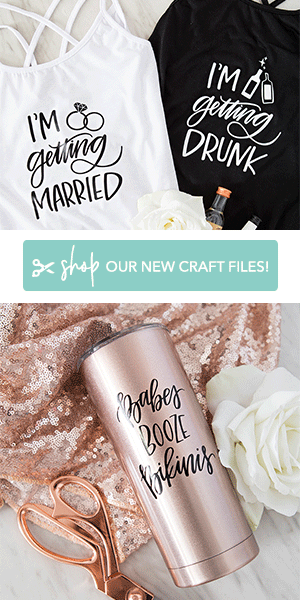 So turn on your printer, download my designs below and get to crafting… I mean relaxing! 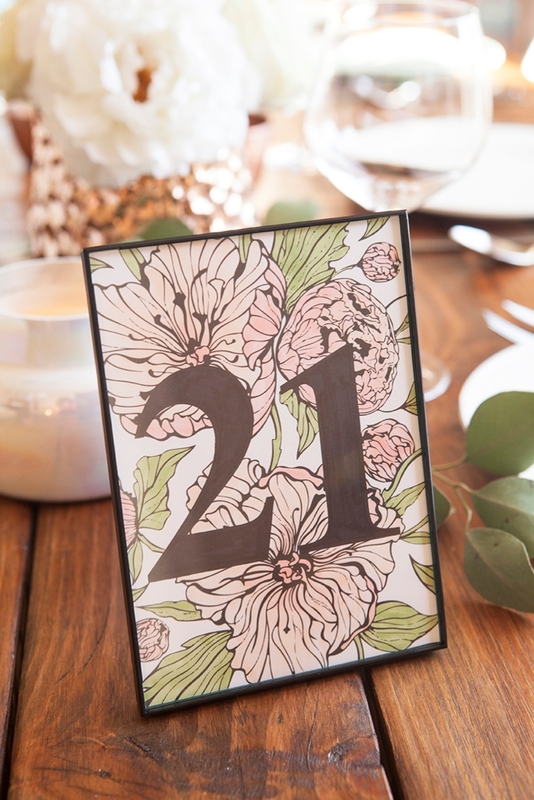 When framing table numbers the price tag can add up quickly, so beware. 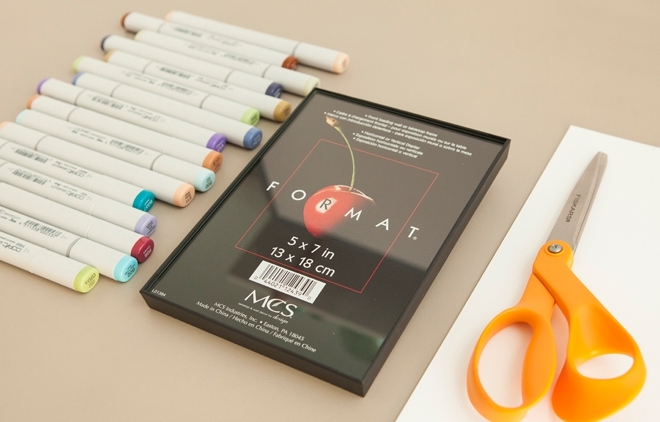 I found these awesome frames on Amazon that are a simple black design (which matches the black outlines of the coloring sheets) with real glass, not funky plastic, and they were only $2 each – can’t beat that! 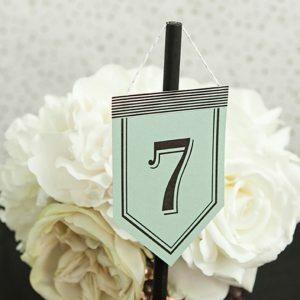 Each table number is sized to 5″ x 7″ and each design file has up to table number 26. If you are having more than 26 tables, email me and I’ll update to add more numbers! 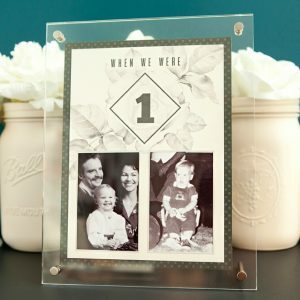 The steps to this project are pretty simple; download your favorite table number theme at the end of the post, print using your home printer, color and frame! Of course I’m using my most favorite printer ever, the PIXMA iP8720 Crafting Printer, which is wireless and fabulous… hence being able to have it across the room from my computer! This is not a super quick project. 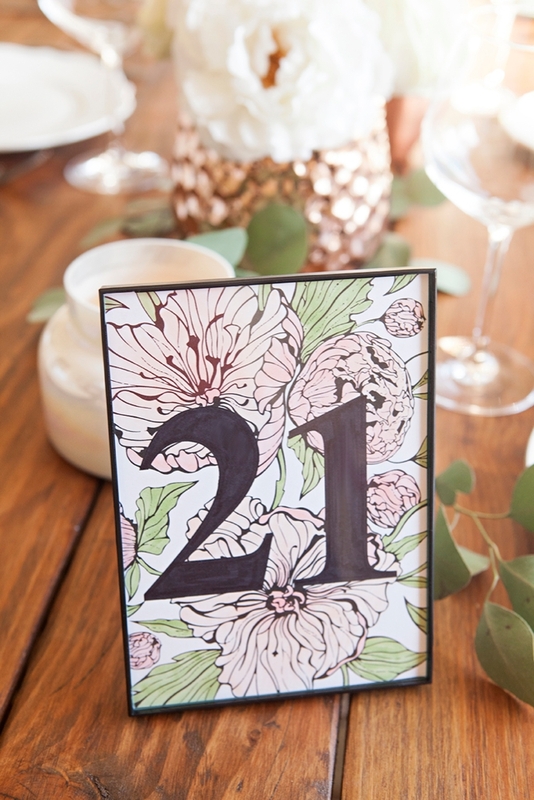 It’s going to take you some time to carefully and beautifully color each and every table number – but that’s the best part! 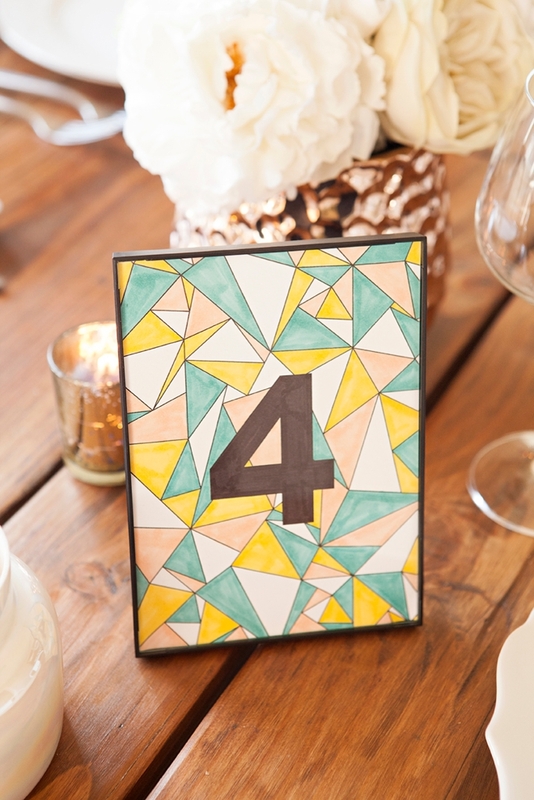 Each night while watching tv, pour yourself a glass of wine and color one or two table numbers. Depending on how many tables you are having you could be done in a weeks time. 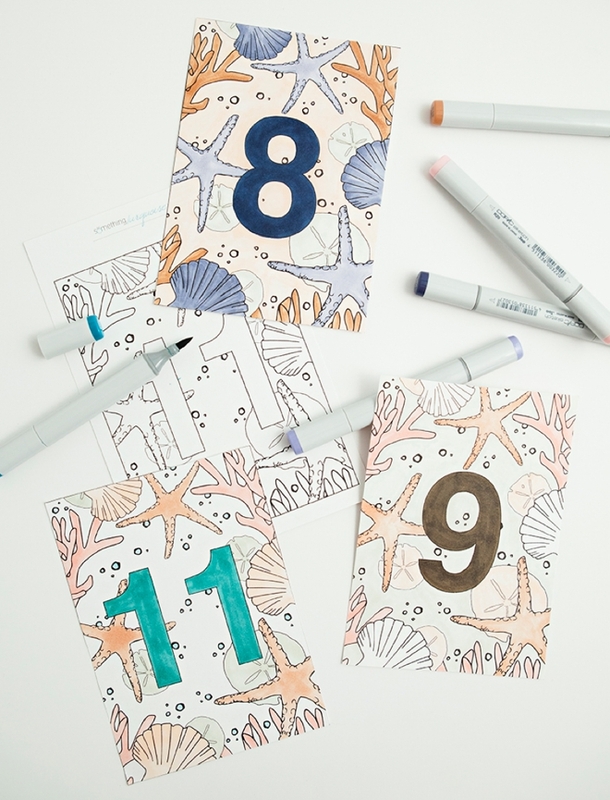 In total I personally colored over 15 numbers for the shoot and I could have kept coloring because it’s so relaxing. You could even invite your bridesmaids over and have each of them color a few, fun craft night idea! 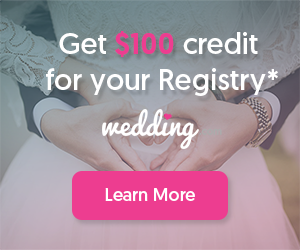 For those of you out there planning a modern or boho event, this geometric design might be just what you are looking for! Highlight the number, make an ombré or color all the shapes differently. Again, I was shocked at how different these designs can look! 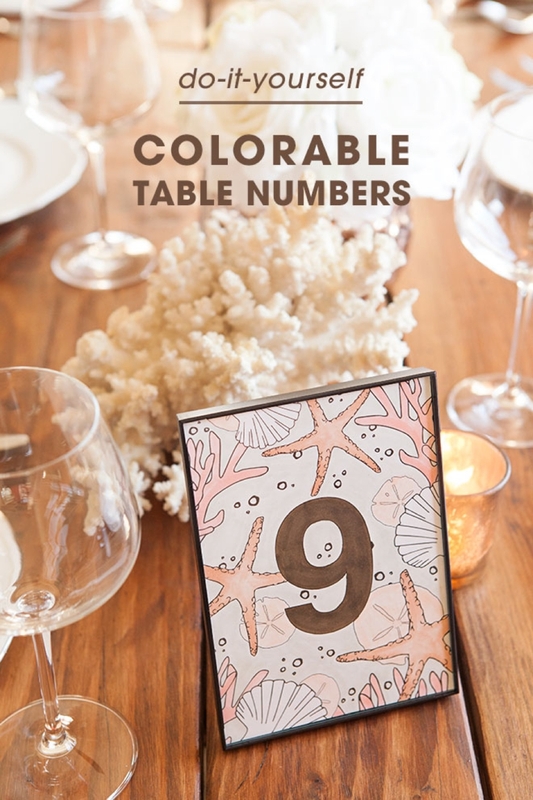 Most of you know I live at the beach and that I’m kind of obsessed, so this colorable table number project wouldn’t be complete without a design for all you beachy gals like me! 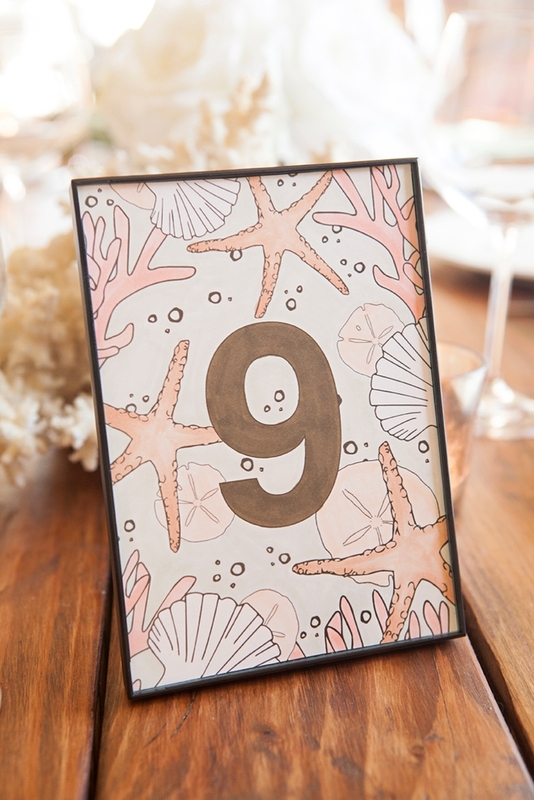 How perfect would these table numbers be for a beach, nautical or destination event!? 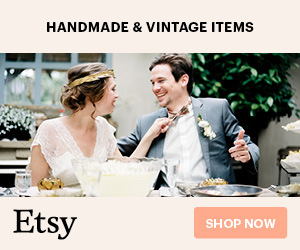 These are my absolute favorite and I seriously cannot wait to see them at someones wedding! Neutral colors keep them natural and beachy while adding pops of navy blue or turquoise can really vamp up the nautical theme!